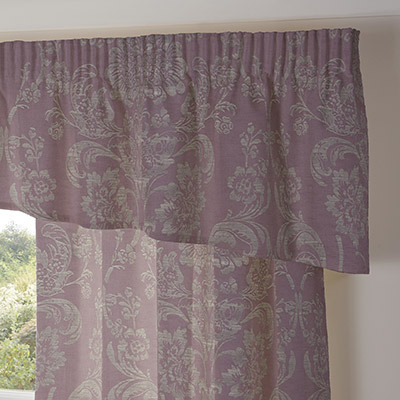 A selected range of valance and tie back styles are available online. Please see below for details. Valances are available in two styles, straight or shaped. Straight valances are 38cm (14") deep, shaped valances are 46cm (18") deep at the outer edge rising to 30cm (12") in the centre. 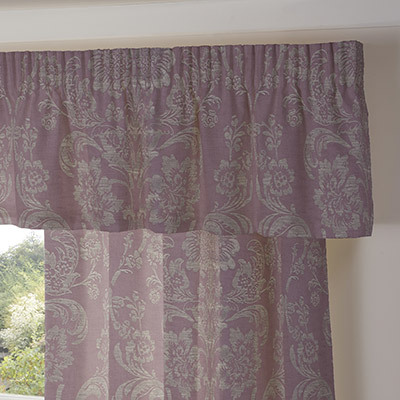 Valances can be made either lined or unlined although we always recommend ordering lined valances with lined curtains. Lined valances come with our House Twill Lining. Valances are only available with pencil pleat headings. Pencil Pleat valances are available to fit all valance rail widths from 97cm to 470cm*. To see our measuring guide please click here. * Sizes based on regular width fabrics. 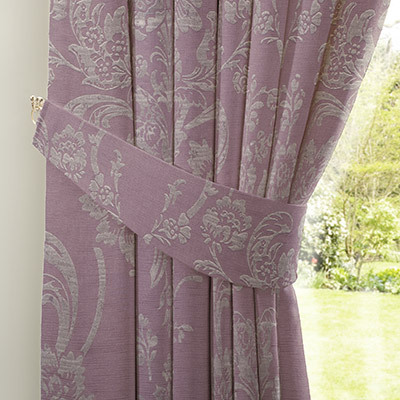 Valances using narrower fabric widths (120-122cm) are available to valance rail widths from 82cm to 454cm. Tiebacks are available in two different sizes - small are 59cm (23"), large are 76cm (30"). We will supply the most appropriate sizes based on the size of curtains required.